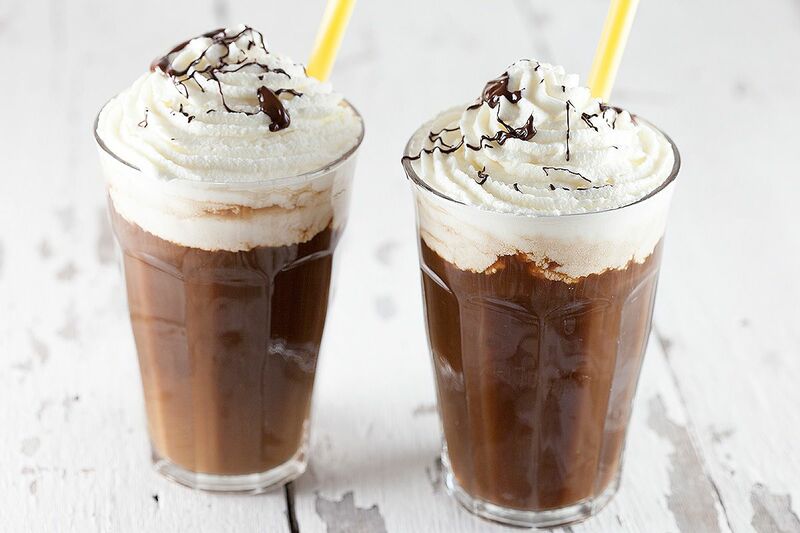 Iced coffee is perfect for a hot summer day. Easy to create at home and it's also very cheap, isn't that awesome? Start making coffee like you regular do, but this time make it a bit stronger. Normally we use a large spoon of regular ground coffee for about 2 cups of coffee. This time we used 2 large spoons of regular ground coffee. When the coffee is ready, set aside until it’s cooled completely. Meanwhile create some whipped cream. You can use an electric mixer, or a whisk to do so. ADD the powdered sugar and whisk until you’ve reached the desired thickness. Of course you can also just buy whipped cream in a can at your supermarket. CREATE a bain-marie, this means you’ll heat some water in the small saucepan. Place the small bowl with chocolate chunks on top. The bowl shouldn’t touch the water, this way the chocolate will melt but not get too hot it will burn. 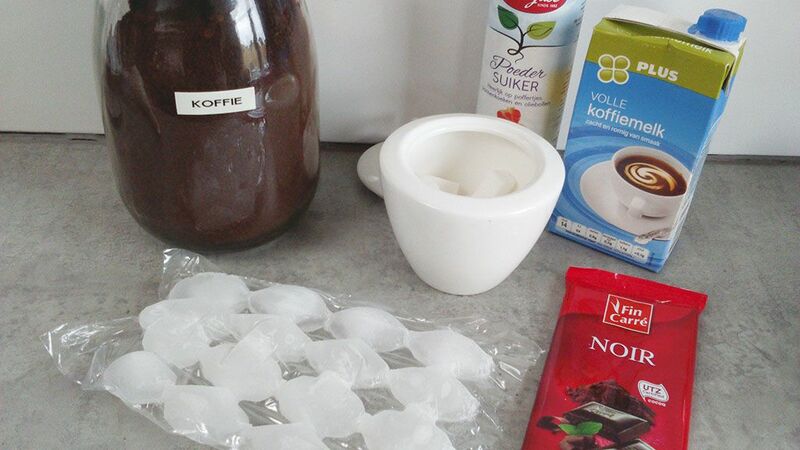 FILL the glasses with the cooled coffee and ADD the ice cubes and coffee milk. 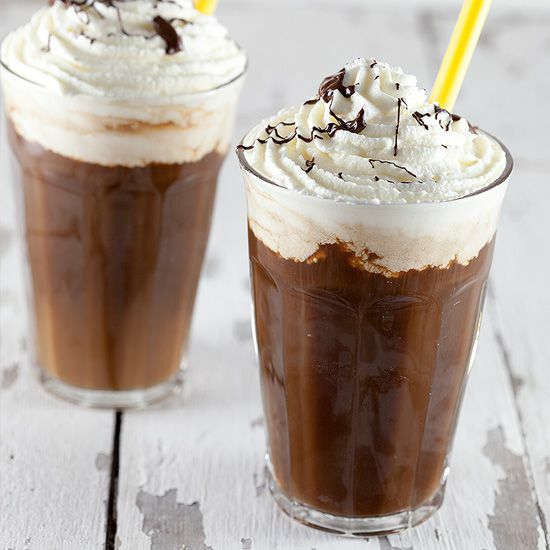 Top it off with whipped cream and finish with melted dark chocolate. 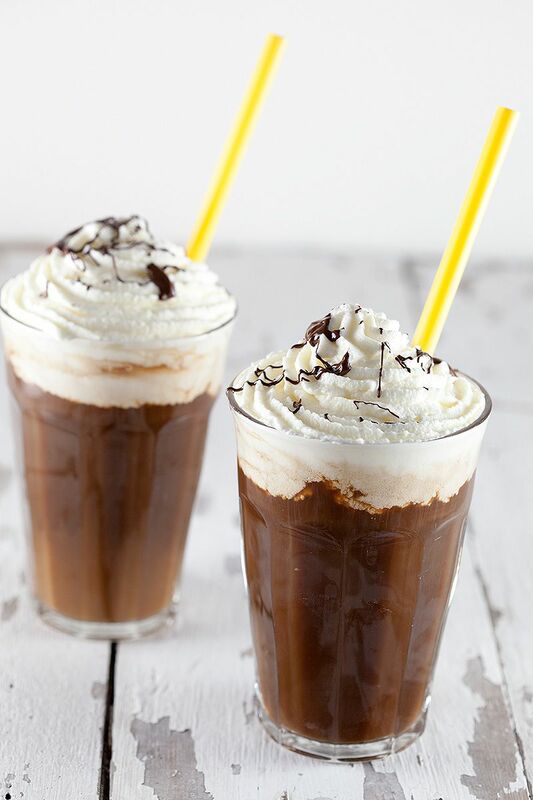 Enjoy your iced coffee!